Thanks to Scotch(R) Double Sided Tape for sponsoring my writing about crafts. Add your comment below to be entered for a chance to win free sample rolls to help with your upcoming holiday needs. Here is a quick and easy way to dress up and personalize any gift card you may be planning on giving for the upcoming season. 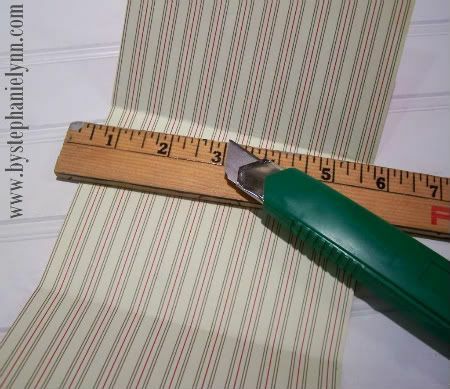 With the sheet of 8 1/2 X 11 cardstock or scrapbook paper turned vertical, measure over 5 1/4 inches from the edge and using a ruler as a straight edge, and lightly draw a line down the sheet of paper. 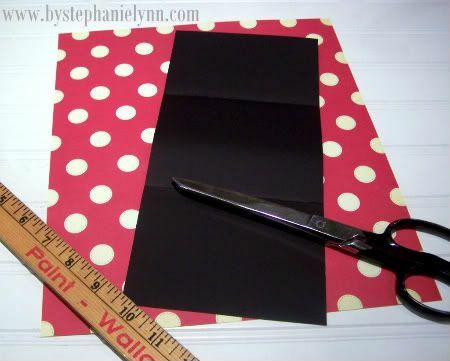 Using the straight line as a guideline, cut out with regular scissors and erase any pencil marks that may be visible; the finished size should measure 5 1/4 inches by 11 inches. Using a ruler, measure and lightly mark a guideline 3 1/4 inches and 7 1/4 inches down from the top. Fold and score the paper at the indicated guidelines. Using decorative scissors trim the top edge of the paper. 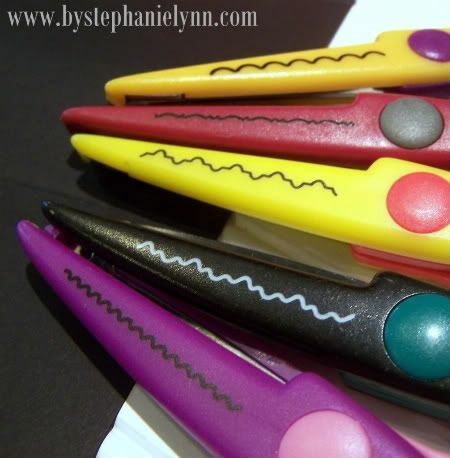 Decorative scissors can be found at your local craft store in the scrapbooking section and are very inexpensive, running just about a dollar a pair. The scissors come in all different designs and are used just like regular scissors except they leave fancy little patterns like shown above. Using a utility knife cut a small slit in the center of the each ‘scored’ line. 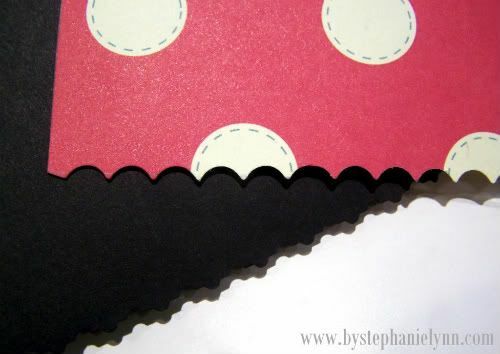 Insert a piece of ribbon through each of the cuts as shown above. Place a piece of Scotch(R) Double Sided Tape on the back of your giftcard and adhere to the center of the paper, right over the ribbon. 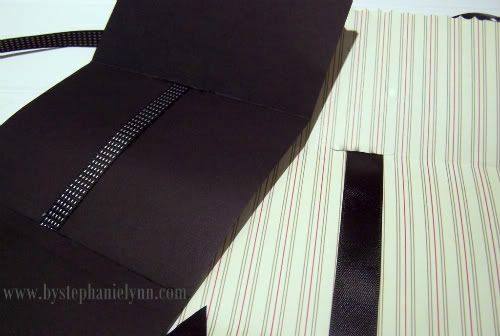 Fold the holder, with the decorative cut edge on top, and wrap the ribbon tying in a bow. 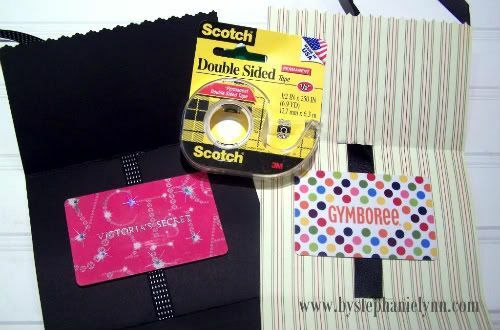 When wrapping gifts this holiday season, think about using Scotch(R) Double Sided Tape! I usually always grab regular scotch tape, however, using this double sided tape will leave no visible tape lines ~ how cool is that! Happy Tuesday Everyone ~ Enjoy! Please learn more about Scotch(R) Double Sided Tape and other Scotch(R) Products, and join the conversation on the Scotch(R) Brand Facebook Page and via Twitter. I love the cute gift card holders. I’m going to try that this Christmas. Those gift card holders are so cute! What a great idea. Very cute gift card holder. I could use some double sided tape. I always run out way too soon. I’m sure I’ll be giving a few gift cards this year…what a great idea! The double sided tape would come in handy. I’ve never used the double sided tape but would love to give it a try! Thank you so much for the tutorial. My final christmas to do, is getting that much closer. I bet that double sided tape is wonderful. I have tried a lot of 3M products and they are wonderful. IDK how to set up to recieve emails. cuter than most I’ve seen in stores! I have use the double sided tape for scrapbooking before, but would love to give it a try on these adorable gift card holders. Thanks for sharing! Everyone needs some double sided tape! 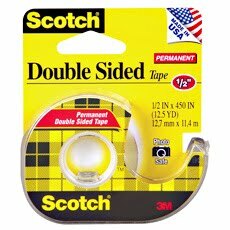 I love scotch double sided tape! great giveaway! I would love to try the doublesided tape this year on my gifts! That’s a really cute! Thanks for the tutorial I’ll definitely be make a couple of these this upcoming holiday season! cute card holders!! I use that tape all the time — very handy! Great little GC holders! So cute!! 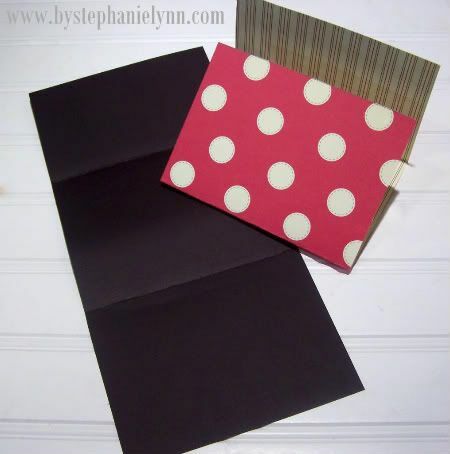 Double side tape is awesome…and so are those gift card holders!! Thanks for the great post. I’m going to have fun making the card holders this year!! Tape makes me happy!! That is such a cute way to give a giftcard! Love it! Id love to try it! I am somewhat of a newbie when it comes to crafting and I absolutely Love it! I’m ecstatic that I’ve found your blog because I’m so eager to try out some of the crafts here during my breaks. Thanks for the giveaway! Great giveaway! I would love to win this for some wedding DIY projects I need to make like some signage. 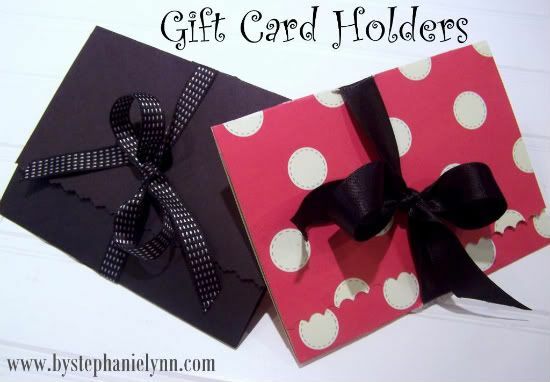 Love this idea for a gift card holder! I have everything on hand (except the tape) 😉 and I hate spending more money on the store bought holders. I love double sided tape and buy it in bulk. I would love some. Love the gift card holders! I’m a UTT&D facebook follower. I’m a UTT&D twitter follower. love Scotch double sided tape! Thanks for the great tutorial and a chance to win! I follow you on FB, too! I love the gift cards! Too cute!!! Such a creative idea! Giving a few gift cards this year so I will try this out! I LOVE Scotch double sided tape. It is all I have ever used in my crafting! Thanks for this great idea! I’m definitely going to be using this…I have decided to only give gift cards this year to teachers etc, since I don’t know them well enough to choose something they’ll use and I hate the idea of buying something they might not want/use (my MIL is a teacher and has closets full of gifts)…SO, I *LOVE* this as a way to make a gift card a little more personal and creative. Thank you!